Looking for a quote or have questions? One of our local equipment experts can help you. We run monthly specials and have special pricing for long-term rentals. Weekend Special: Ask us about our weekend special if you plan on using the equipment during the weekend (pick up Saturday afternoon and return Monday morning and pay for only 1 days rent). Facebook Specials: Make sure to “Like” us on Facebook where we feature discounts and giveaways to our most dedicated Power PaC fans. Long-Term Rental Discounts: If you’re renting for 1 week or more, ask us for our weekly or monthly rates. The longer you rent a piece of equipment the cheaper it gets for you. Ask us about our long-term discounts and packages. Satisfaction Guarantee: We’re in business to help you get the job done with excellent equipment. If you ever feel we didn’t over-deliver, let us know and we’ll go above and beyond to make things right. *All of our equipment comes with 24/7 service, expert guidance on equipment use, and a full inventory of accessories to help you get the job done. 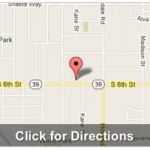 Southern Oregon Equipment Rentals and Sales. Southern Oregon’s rental equipment leader for over 25 years. If you’re in Klamath Falls, Medford, Lakeview, Ashland, Alturas, Tulelake, and everywhere in between. We offer military and emergency personnel discounts on many of our services. We appreciate your service!